Our research program focuses on developing science-based knowledge for the effective management and wise use of a vast array of wildlife species and the habitats they occupy. 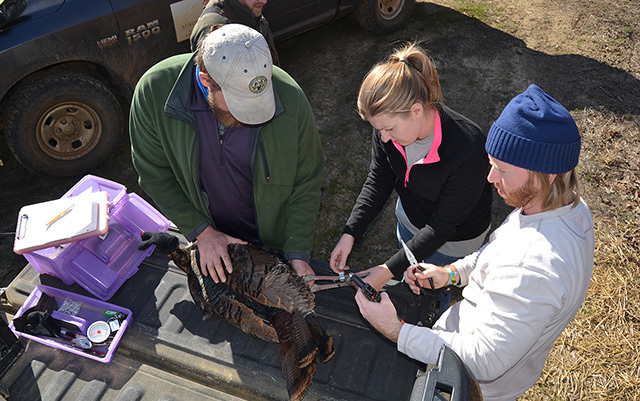 From economically valuable game species such as white-tailed deer and eastern wild turkeys to the ecologically important Alabama black bear and pocket gopher, much of the program’s research is centered on understanding how wildlife respond to an ever changing environment. Common areas of research include threatened and endangered species management, habitat restoration, landscape ecology, population ecology, conservation planning through structured decision making, genetics, disease ecology, invasive species, and resolving human conflicts with wildlife. By aggressively pursuing research funding from a broad range of sources, our world renowned faculty not only conduct numerous research projects in Alabama and the Southeast, but also routinely address conservation issues internationally such as disease ecology of lemurs in Madagascar, damage caused by native wild boar in Morocco, and population ecology of jaguars in Paraguay. With top notch field and laboratory facilities, our research program provides exceptional opportunities for graduate and undergraduate research and training. 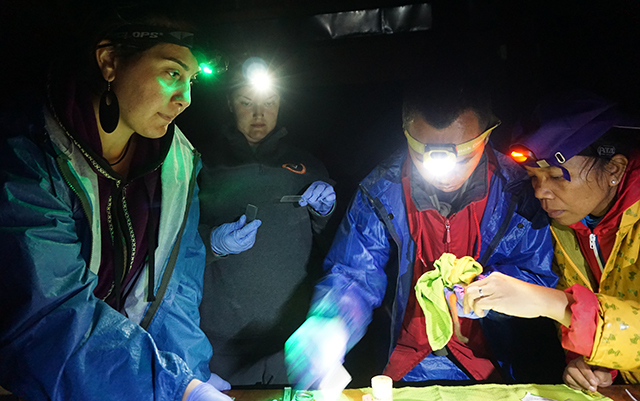 Working cooperatively with numerous conservation partners, our faculty, research associates, and graduate students are finding the answers that are needed to sustain healthy populations of wildlife for current and future generations. Faculty are developing cutting edge tools and technology to improve the methods by which we manage economically important wildlife species and their habitats. We are leaders in the efforts to understand the risks and challenges associated with conservation of threatened and endangered wildlife species across the globe. 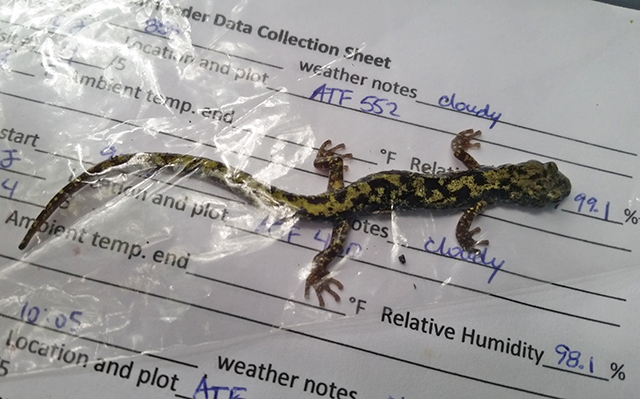 We employ a diverse array of wildlife species as models to examine basic ecological theories and concepts relating to the functionality of our living world.